This technique of weaving, native and exclusive from Pile, is the only one that allows to get toquilla straw hats, with more than 60 points per linear inch, which is the supreme quality in the extra fine hats world. The template, which is the circular part that covers the upper plane of the head, is up to 30 cm in diameter. The weaving begins with 8 straw strands chosen by Domingo Carranza, as a teacher chooses his best students. The fine toquilla straw hat is unbeatable, it is born in a unique and tiny point, that is the center of the figure that is denominated crab, and it is formed by the first interlaced of the 8 straws. Gradually, in each turn new strands are added exponentially, so that at the end of the hat has gone from 8 to more than 3,000 straws. 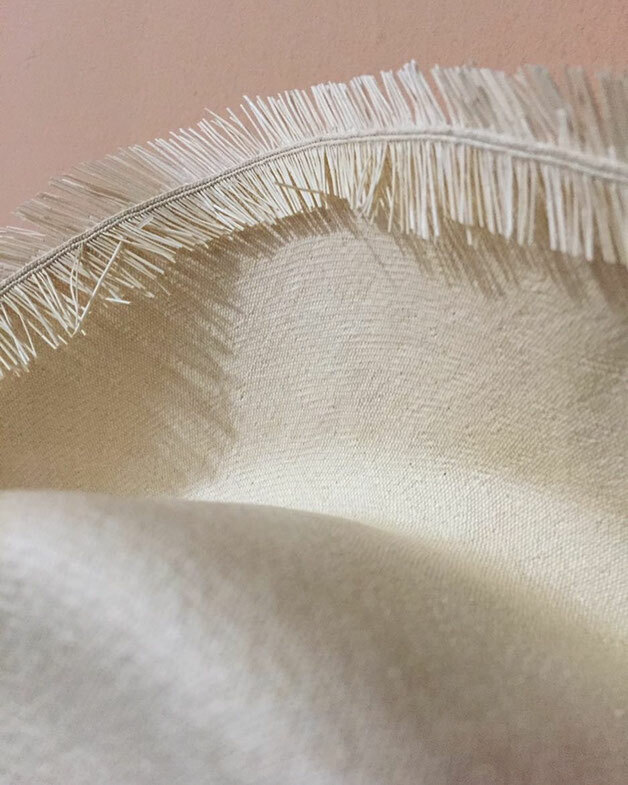 It is important to emphasize that the template is the common origin of all hats, determines the grade of quality of the piece and can take up to 8 weeks of work. The top of the hat is woven after transferring the template from the flat work table to a hard wood last, which will serve as a mold to weave the vertical plane of the toquilla straw hat, intended to cover the head. The weaving of the fine hats of Montecristi, is executed with the craftsman supporting the chest in a sort of tower, which configure the bench of weaving and the lasts, situating the weaving at the suitable height for the artisan. It is based on the logic of bringing the fabric closer to the eyes and never leaning it on the body, so as not to damage the very fine fibers. This particular disposition has passed through hundreds of years from one generation to the next. 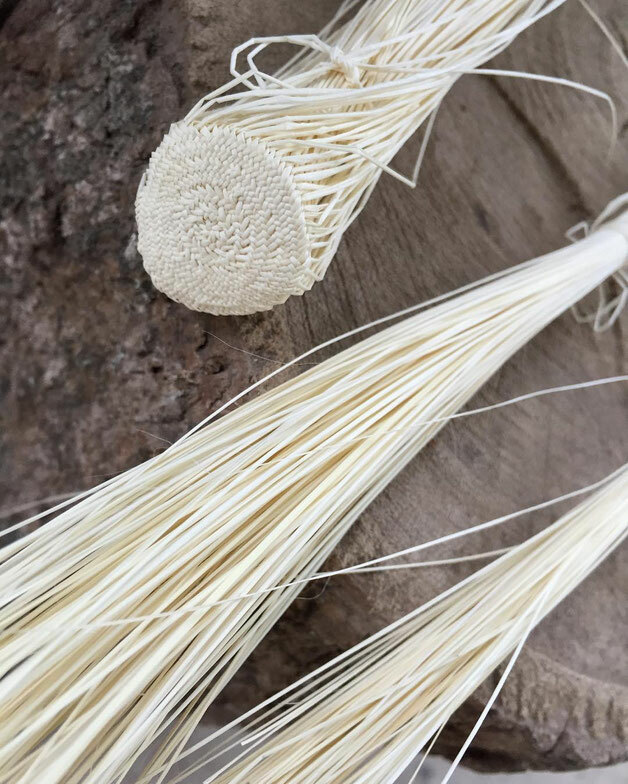 It can be woven in the traditional way or in a technique called “crochet” that allows to give a fretworked finish, which makes it cooler and appropriate for very hot areas. A top can measure from 9 to 15 centimeters depending on the model. In short, the grade of quality of a hat is determined by measuring in two different places on the top, observing how many times the straws are interlaced in a linear inch. This part of a high quality hat can take Domingo Carranza up to 12 weeks of work. There is nothing more beautiful than the wing of a hat perfectly ironed and molded to frame its owner's face. Weaving the wing of the toquilla straw hat is a task that can take up to 16 weeks, depending on the diameter and its length from the top. In the case of a lady's pava, it can reach 50 centimeters. 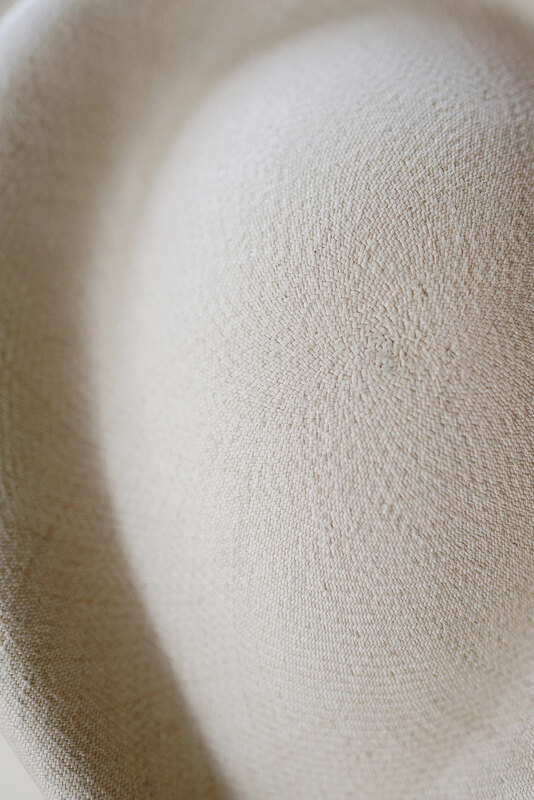 The wing is the most delicate part of the toquilla straw hat, as it is the one that is always exposed to rubbing, twisting, pinching and other damages. However, it is the part that defines the hat’s style and provides shade, so desired in warm areas where this garment is of great help. Traditionally, the intermediary merchants kept the knowledge of this technique away from the artisans. This is the final finish of the highest quality, which is given to the wing and makes it impossible for the woven work to fall apart. Even today it is very common that these intermediaries buy the hats raw and make the finishing process in their stores, where no hat is made, as tourists believe. 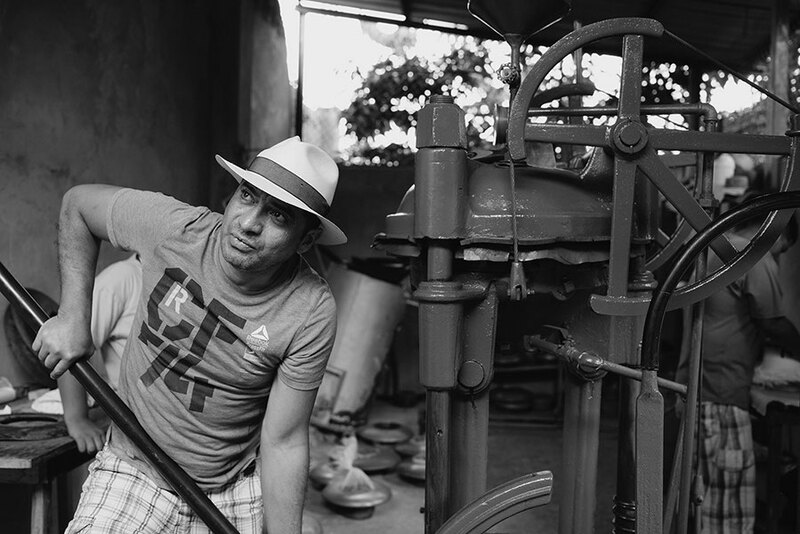 Nowadays, artisans of Domingo Carranza's level, not only master these techniques, but they have adapted and improved them to make super fine toquilla straw hats. the more strands the hat has the finer and subtler this finish is, being of an absolute beauty in the extra fine toquilla straw hats . 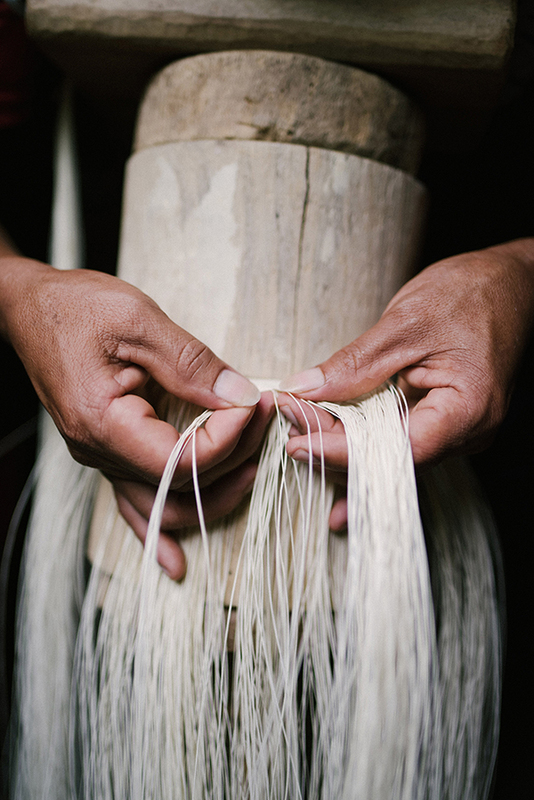 Removing the lint from a hat consists of turning the piece over and trimming with a very sharp knife at the level of the weave the leftovers of all the strands of straw, which were incorporated into the weave as the diameter of the template increased. It is a slow process that requires great agility and maximum care. Any cut in the weave would ruin all the work. 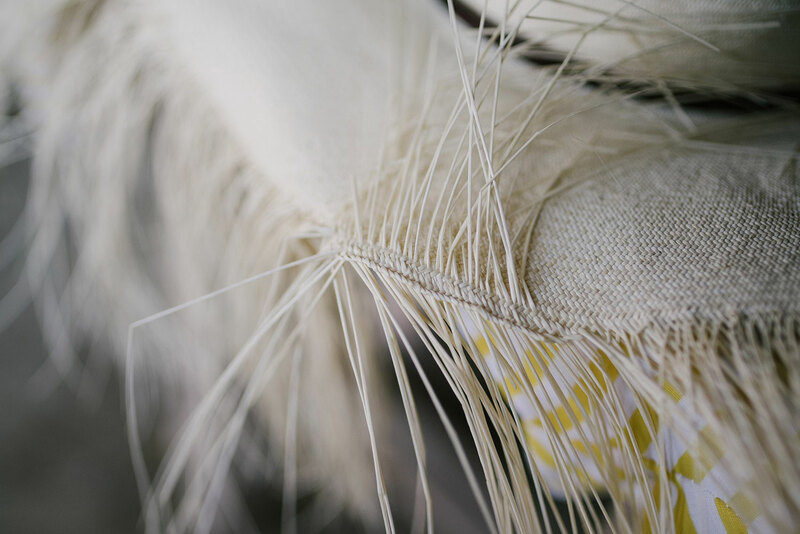 In order to tighten the protruding straws of the end of the wing of an extra fine toquilla straw hat (azocado), the piece is taken upside down and immersed in a large container, where it rests for half an hour. The objective of this process is that the fibers are hydrated, so that they are flexible again and the weave contracts with the pressure and the exact tension that provides the artisan to each one of them. This process gives the wing a fine and delicate finish. Once dry, the hats are taken back to the oven. There, they are exposed to the vapors of coal and sulfur, which helps them to gain softness and that whitish cream tone so appreciated in the fine toquilla straw hats. After this, the hats are let drying in the sun to fix the color. The beating of hats is a job that only the most expert and skilled craftsmen can perform. The hats are taken one inside the other, up to 5, depending on their fineness. They are folded without being pleated in half, and then placed on a stone or trunk where they are firmly hit with a hardwood mallet. They are beaten rhythmically all over the surface, but without ever marking the fold, so as not to break the straw. Some craftsmen, sprinkle from time to time the hats with a little sulfur. This process results in a smooth and extremely soft straw finish. It is a matter of gradually ironing the wing to give it a horizontal line that distinguishes it from the top. The hats return to the wooden lasts, are fitted with a leather belt that fixes them and rest on the ironing table. The charcoal iron is heated red-hot, the hat is protected with a natural cotton linen, to start ironing gently, all the contour of the wing and go providing the horizontality of which until now lacked. It is a delicate task, where care must be taken not to burn the hat and gradually mold the incipient wing. The extra fine hats and the super fine hats are pressed and shaped by hand. This, is a science; very few artisans manage to master this art after decades of experience. With the help of steam, irons, hot sand bags and wooden molds, they manage to shape a hat in the most traditional way. It is an arduous and prolonged work, with which the most valuable jewels are molded. The fine hats are pressed in mechanical presses, where act a matrix, a mold, pressure, temperature and valuable knowledge of the craftsman who knows how much pressing needs each piece. During this pressing the tafilete is sewn by hand, the inner ribbon that adjusts the hat to the head and is also the one that protects the hat from sweat. Once sewn, the hat is pressed again so that the tafilete is ironed inside. The particular specifications of each client in addition to their measurements, are incorporated at this time. It is when the ribbons, bows or feathers, previously chosen to decorate, are sewn by hand. Additionally, the final inspection is made, which each piece passes rigorously, before being sent anywhere in the world.